The building we now call the chapelle St. Jean and which houses three associations, the tourist office, the friends of the chapelle St Jean and the heritage Centre was in fact originally two distinct chapels which merged and then after the Revolution was enlarged. Chapelle St. Jean St Antoine and St Crepin. 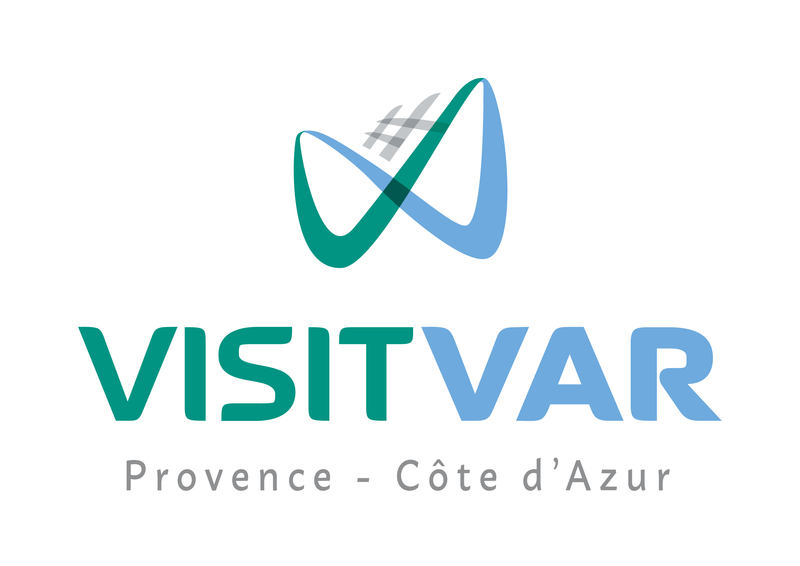 It was founded shortly before 1622 by Antoine Courchet, landowner and farmer. Its construction was completed in 1628 when the “recteurs de la luminaire”, principals of the foundation were nominated. M. Courchet, the founder, dedicated the building to Saint John the Evangelist, to Saint Anthony, his patron saint and Saint Crepin patron saint of tanners and leather workers, a craft then practiced in La Garde-Freinet. In 1633, a group of wealthy local villagers set up a religious brotherhood of penitents blancs under the invocation of Notre Dame l’Annonciade. With the agreement of the hears of Antoine Courchet, it was decided to build a penitent’s chapel next to the chapel Saint-Jean. Begun in 1637, it was achieved during 1653. The chapel provided the penitents with a meeting place where they practiced their prayer meetings, bible readings and meditation. From here, they also organised processions, celebrations, festivities and funerals vigils for the dead were held in the vaults, which were excavated in 1646. 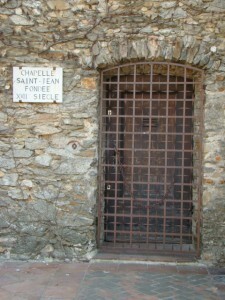 For religious services the brothers used the Chapel St. Jean whose main entrance opened at the bottom of their premises. The two buildings were merged in 1649. The combined chapel served as annex to the parish, especially when work in the village church of St. Clement made it unusable till it was rebuilt in 1782. Following 1789 Revolution, the chapel, abandoned by the dissolved brotherhood served for some years as a meeting place for the local Society of Friends of Freedom and Equality. It was a little later valued at 2650 livres, sold for the national good, altered, defaced and soon forgotten. Local tradition states that the vaulted arched ceiling which separates the chapel into two levels was built for the cork factory. Legend also has it that the workshop of the ironworker Cavalier, who made the cross that dominates the village, was in the chapel. In the same period the surroundings of the building were transformed : the cemetery disappeared, a new district was created around the Mairie square. The old Chapel was integrated into this development of houses and its origins were forgotten. In 2002 the Mairie of La Garde-Freinet took the opportunity to buy back the building and create a cultural centre open to the public.